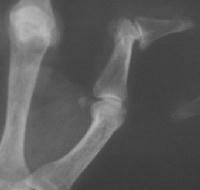 Unstable IP joint with a nodule on the exposed prominence of the proximal phalangeal head. 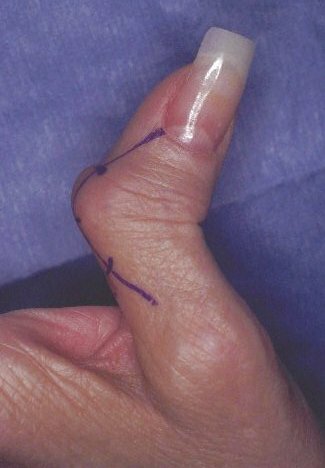 Eponychial splitting incision allows access to the nodule, direct exposure of the neurovascular bundle and tailoring any skin excess. 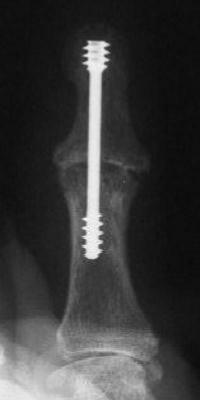 Herbert screw fixation seems most solid if leading threads are in the narrowest segment - the phalangeal neck. 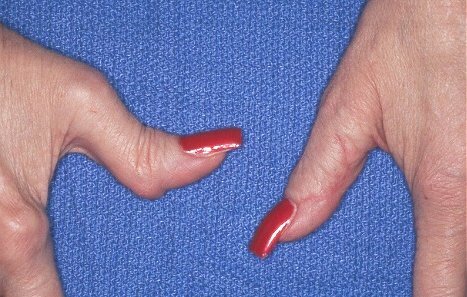 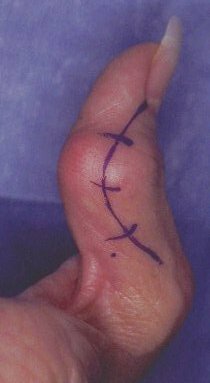 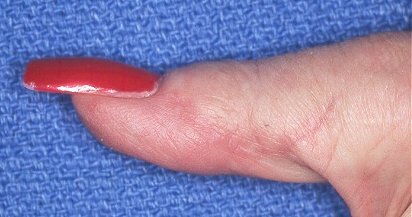 About three months after surgery, comparing with the other thumb which has not had surgery.